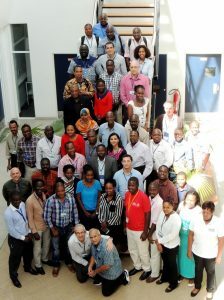 The International Institute of Tropical Agriculture (IITA) with support and in partnership with the United States Department of Agriculture- Foreign Agricultural Service ( USDA-ARS ) organized the second networking workshop for Biocontrol experts from 13 African nations and beyond this week in Dar es Salaam, Tanzania, as part of efforts to improve the health of Africans by reducing exposure to aflatoxins. 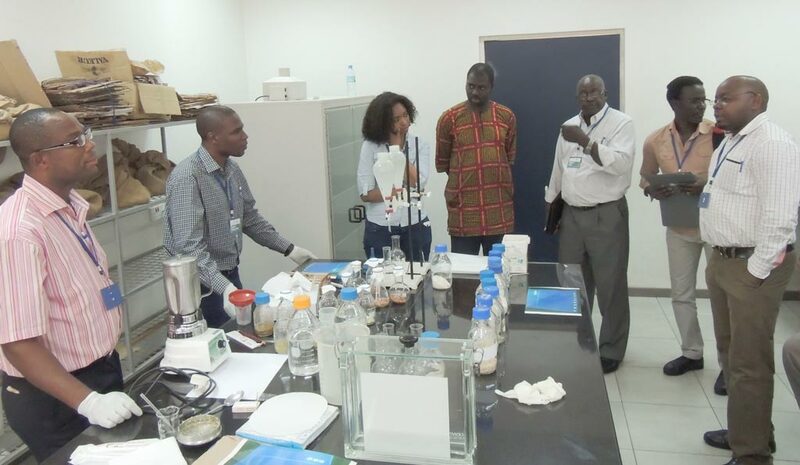 The participants focused on progress made in rolling out Aflasafe™ , an effective and safe biological control product which reduces the prevalence of aflatoxins in treated maize and groundnut by 80−99% from farm to fork. Cross section of participants receive training on testing for aflatoxins. Aflatoxins are highly toxic chemicals produced mainly by fungi in several food crops. Aflatoxins cause cancer and liver disease, suppress the body’s immune system, retard the growth of children, and in cases of extreme poisoning, lead to rapid death of both humans and livestock. Dr Victor Manyong, IITA Director for Eastern Africa, while making welcoming remarks at the event, noted aflatoxins was a major challenge in efforts to increase food security and reduce poverty in sub-Saharan Africa. “Addressing aflatoxins is very important to ensure smallholder farmers are not only able to increase the quantity of food produced to feed the growing populations but also that the food is of good quality. Food contaminated by aflatoxins is unfit not only for human consumption but also livestock and therefore goes to waste and is a loss to the farmers, ” Manyong said. Prof Cotty and Dr Manyong. Aflasafe is a biological control method for aflatoxin control developed by United States Department of Agriculture-Agricultural Research Service (USDA-ARS) and improved for Africa by IITA, USDA-ARS, and many national and regional partners. 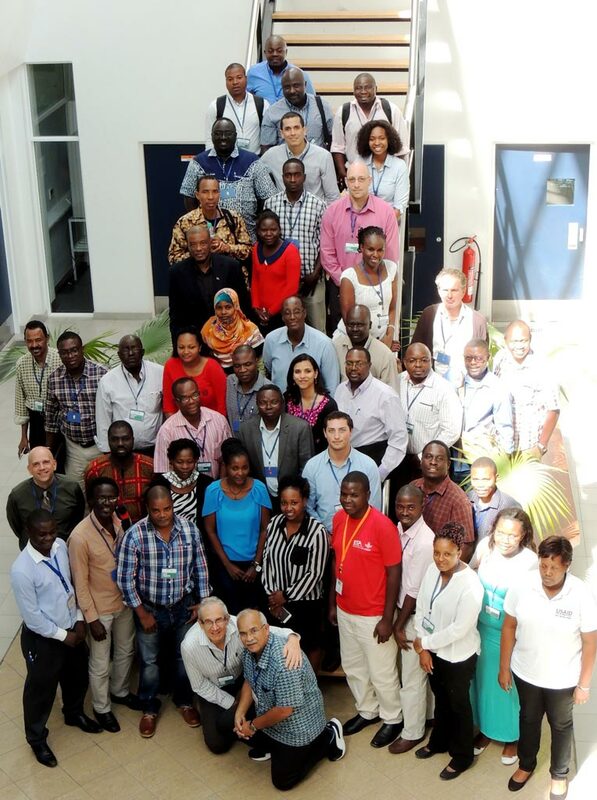 “The workshop participants will take stock of the current status of aflasafe development in various countries, discuss research protocols, and provide a platform to network and understand each other’s work. The result will be a shared understanding of the needs for future developments of biocontrol in Africa,” said Dr Ranajit Bandyopadhyay , Senior Plant Pathologist, International Institute of Tropical Agriculture (IITA)- Nigeria, and team leader of IITA’s aflasafe projects. The biocontrol product uses native strains of A. flavus that do not produce aflatoxins but are able to out-compete and displace their aflatoxin producing relative, thus reducing contamination in crops and throughout the environment. 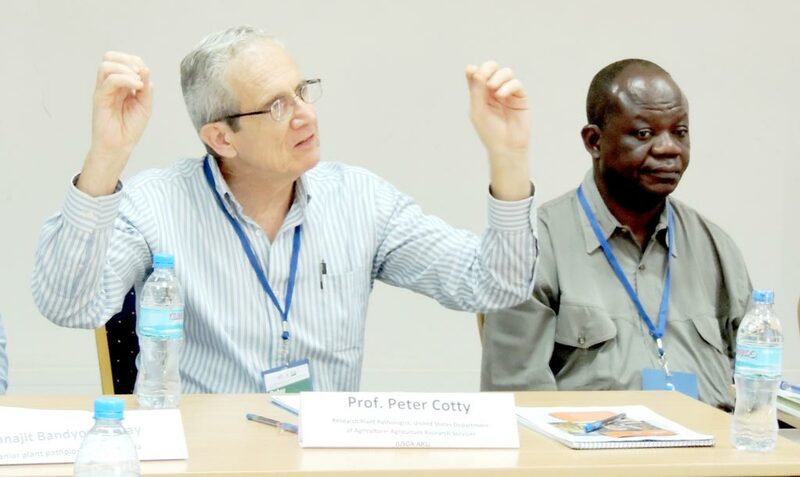 “Biological control products such as Aflasafe provide farmers with a safe, simple solution that protects their crops on the farm and in storage saving them a long list of tasks to carry out to prevent their crops from being contaminated with aflatoxins,” said Prof Peter Cotty , a Research Plant Pathologist at USDA-ARS , who pioneered the original technology and was also at the event. The effectiveness of biocontrol has seen products developed and registered for commercial use in Kenya, Nigeria, Senegal, and The Gambia while other countries such as Burundi, Burkina Faso, Ghana, Malawi, Mali, Mozambique, Rwanda, Senegal, Tanzania, Uganda, and Zambia are in the process of product development and registration. The four-day workshop, 11−14 July, brought together over 50 participants including include researchers, farmers’ groups, national program partners, officials from regional and international organizations, policy makers, and donors. The workshop follows an earlier one held at the USDA-ARS labs at the University of Arizona , USA in 2012.